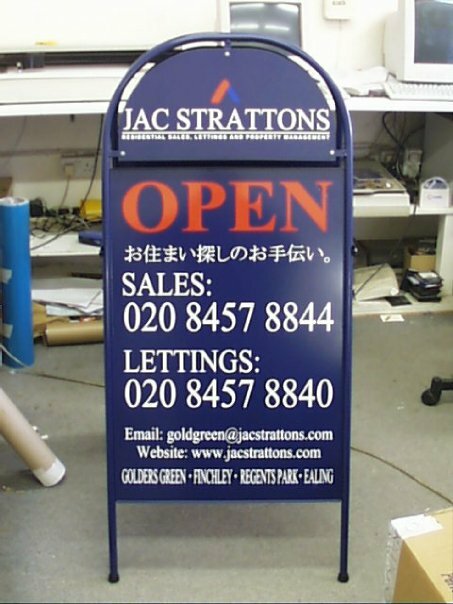 Opening Times: Online only please email or or telephone enquires, callers strictly by appointment only. 0330 Number Low call rate from all phones, if calling from a mobile please try to use the mobile number listed above. 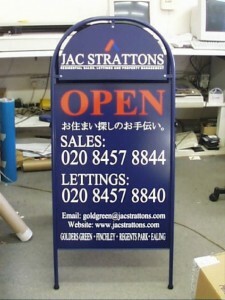 We can supply a range of A-boards signwritten or printed to your requirements.